WASHINGTON — Iran will not be given access to the U.S. financial system as part of the sanctions relief granted under the landmark nuclear deal, according to a senior Obama administration official who disputed reports that Tehran will be able to deal directly with U.S. banks. Testifying Tuesday before the Senate Foreign Relations Committee, Thomas Shannon, the undersecretary of state for political affairs, sought to tamp down speculation that the administration may relax the prohibition that prevents U.S. dollars from being used in transactions with Iran. Angry lawmakers, who contend the U.S. was taken advantage of in the deal, have countered that Tehran would be getting more than it deserves from the international nuclear pact reached last year. “The rumors and news that has appeared in the press that the U.S. (is) preparing to … allow Iran access to the U.S. financial system are not true,” Shannon told the committee. 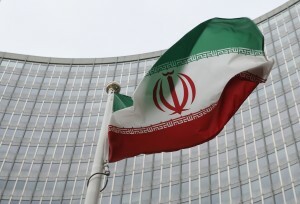 The Associated Press reported last week that the Treasury Department has prepared a general license that would permit offshore financial institutions to conduct foreign currency trades in dollars in support of legitimate business with Iran. No final decision has been made on the license and several restrictions would apply. The license would not give Iran access to the U.S. financial system and it would not allow Iran itself to conduct business in American dollars. But the change could prove significant for Iran’s sanctions-battered economy. It also would be highly contentious in the United States, where Republican and even a few Democratic lawmakers say the administration promised to maintain a strict ban on dollars along with other non-nuclear penalties on Iran after last July’s seven-nation agreement that is designed to prevent Iran from becoming a nuclear power. The nuclear pact provided Iran with billions of dollars in sanctions relief for curtailing programs that could lead to nuclear weapons. But the Iranians say they haven’t benefited to the extent envisioned under the deal because of other U.S. measures linked to human rights, terrorism and missile development concerns. But Corker said remarks Tuesday morning on MSNBC by Secretary of State John Kerry seemed to indicate otherwise. During his appearance on MSNBC, Kerry said Iran is entitled to the full range of sanctions relief under the nuclear accord. “It’s fair for Iran to get what it deserves because it kept its part of the bargain to date, with respect to the nuclear agreement,” he said. Shannon said the point Kerry was making is that as Iran attempts to access money being made available through sanctions relief, the U.S. may need to clarify regulations outlining the proper procedures for those assets to be transferred to them. Republicans on Capitol Hill also remain highly critical of the Obama administration’s efforts to punish Iran for what they have called repeated violations of a U.N. ballistic missile test ban. A group of Republican senators last month unveiled legislation that requires the administration to sanction every sector of Iran’s economy that supports the country’s ballistic missile program. The bill, introduced by Sen. Kelly Ayotte, R-N.H., is a reflection of longstanding exasperation among GOP lawmakers who’ve complained that President Barack Obama has failed to properly punish Tehran for test-firing ballistic missiles. Iran’s Revolutionary Guard test-fired two ballistic missiles on March 9 and U.S. officials said the launches were in defiance of the U.N. resolution, which calls for Tehran not to launch any ballistic missiles capable of delivering a nuclear weapon. The administration in January announced sanctions against Tehran for missile firings in late 2015, but Republicans called those measures tepid and weak. In late March, following the most recent launches, the Treasury Department issued new penalties against two Iranian companies involved in Iran’s ballistic missile program and several people and firms from Britain and the United Arab Emirates for helping the U.S.-blacklisted Mahan Air evade sanctions to secure American plane parts and financing..
“I think that the administration is not doing all that it can,” said Sen. John Barrasso, R-Wyo. Shannon said the administration will use all available multilateral and unilateral tools, including sanctions, to impede Iran’s ballistic missile program. But he told the committee to expect more missile launches. “Iran is intent on pursuing a ballistic missile program,” Shannon said.